In 2002 Bee Train unleashed .hack//SIGN, an anime that set the standard for the multi-media project dubbed Project .hack, on Japan. Combining the talents that made the likes of Noir, Ghost in the Shell and even Neon Genesis Evangelion possible, Bee Train succeeded in making .hack//SIGN a classic... although I do use that term "classic" with a bit of hesitation. The anime made its way into America in 2003 and I remember watching it and just not understanding it at all. Yes, I was thirteen at the time, but the anime was so dialog-heavy that I just didn't quite grasp it. Which only reinforces my point that anime is not always for the young 'uns. This anime, despite taking place inside of an MMORPG, is an in-depth study on things like angst and escapism. There is not a lot of action here. Think The Godfather or a Shakespearean play. It's all about the characters and the interaction between the characters. There's just not a lot of action at all and if you lose the dialog then you will lose the story. You only know what you are told. 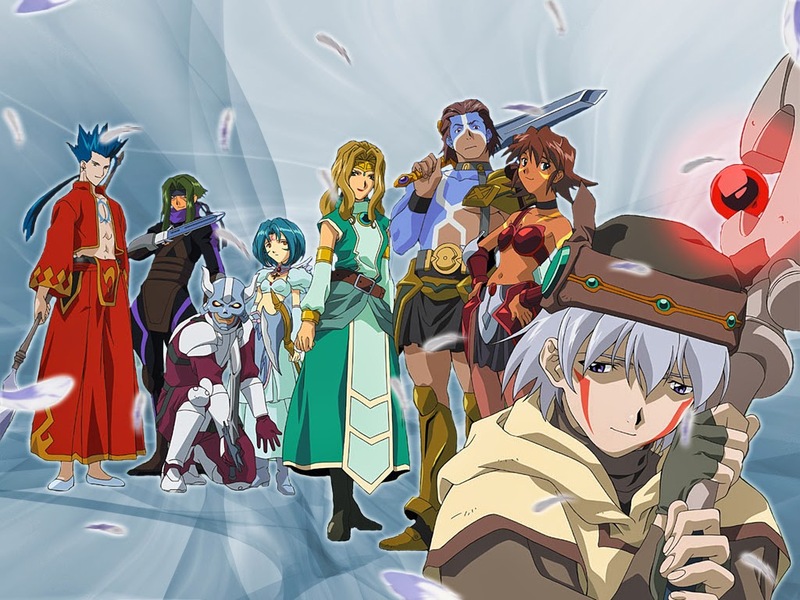 These days anime like Sword Art Online are all the rage, but you have to go back to .hack//SIGN to really gain an appreciation for the story of the character who could not log out of the game. There are not a thousand explosions going off or an enemy you'll hate with an intensity to rival that of your congressman. I certainly love Sword Art Online and I like to heap praise on it, but it is nowhere near .hack//SIGN in terms of story. I don't mean that as a compliment or an insult one way or the other, but merely to reinforce the idea that (although they may share a similar premise or setting) they are nothing alike. Sword Art Online could please Attack on Titan, Naruto Shippuden, and One Piece fans everywhere. 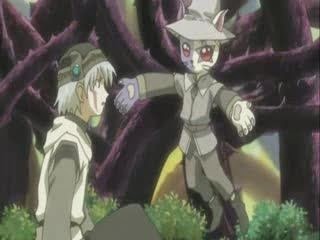 .hack//SIGN is meant more for those who like Ghost in the Shell, Noir, and Neon Genesis Evangelion. Those two target audiences are completely different from each other. I'm just one of those rare people that happens to fit into both of them. I can certainly understand why a lot of people became frustrated with this anime and still become frustrated by it, but I think there is a certain hypnotic charm to be found in it. Yes, the characters talk a lot and a half the time things happen with almost no explanation (ironic given how much conversation there is in this series), but the story is a bit deeper than the words presented or the actions taken. For whatever reasons Tsukasa cannot log out of The World and gets befriended by an odd cat fellow and a blob that takes delight in killing other players. He has no memory of anything before the game and doesn't even know if he is a human in the outside world or if he is a character original to the game. As more characters come to believe that he is in fact a player incapable of logging out, Tsukasa finds himself becoming surrounded by people who want to help him as well as people who want to use him. Tsukasa doesn't know how to respond to all of this, though. He's a very withdrawn character (or person) and goes to find solace in a place that doesn't seem to exist in the game for anyone else. In that place a strange girl floats over a bed and a voice in the sky tells Tsukasa everything he needs to hear. What does all of this mean? Well, you have to find out for yourself. The answers given here aren't given easy. You just have to follow along and read between the lines. Anime fans will typically regard this as one of the classics because of its age and because it does seem to maintain an appeal more than ten years after its debut, but it is an odd duck. People either love it or hate. I didn't love it or hate it, but I'm always one of the weird ones. There are certainly quite a few good things things about this anime. It is quite fascinating and the ambiguous female relationships Bee Train are fond of creating are certainly present in this series. That makes things bit refreshing. People who like Bee Train will appreciate this series. However, this series is sometimes too deliberately odd. The anime itself was a bit of an experiment and sometimes things went too far in one direction. The music was either too loud and you had to struggle to hear what certain characters were saying or cliffhangers at the end of an episode are downplayed in favor of more exposition before the events from the cliffhanger are ever revealed. Whatever suspense there might have been otherwise in this series was greatly diminished. This series left me feeling a bit wanting, but I can't help but think that that was the intention of the series the entire time since this is only a chapter in the multi-format saga. There are games and light novels and manga that all tell a bit more of this story. I'm just not sure how much more time I want to spend in The World, though. Especially when a series like Sword Art Online seems so much more in your face by comparison. However, there is a quite a bit of nostalgia for me with this series. One of the most important messages of this series is how to deal with reality when things go bad and it is something I always connected with and still do. Reality in this series is rarely shown, but when it is shown it is done so in a grainy black and white vision where no sound is heard. Anything that might be said is done so using title cards like old silent movies. Only bad things seem to be happening in reality. No one one is happy when we catch our very few glimpses of the characters in the real world. Compared to the game, I'm sure you can guess which vision seems more appealing. There's something to be said about that.